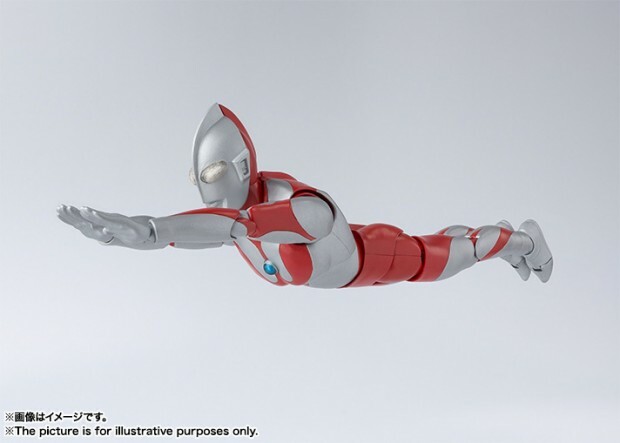 If Hot Toys is in love with Iron Man, the S.H. 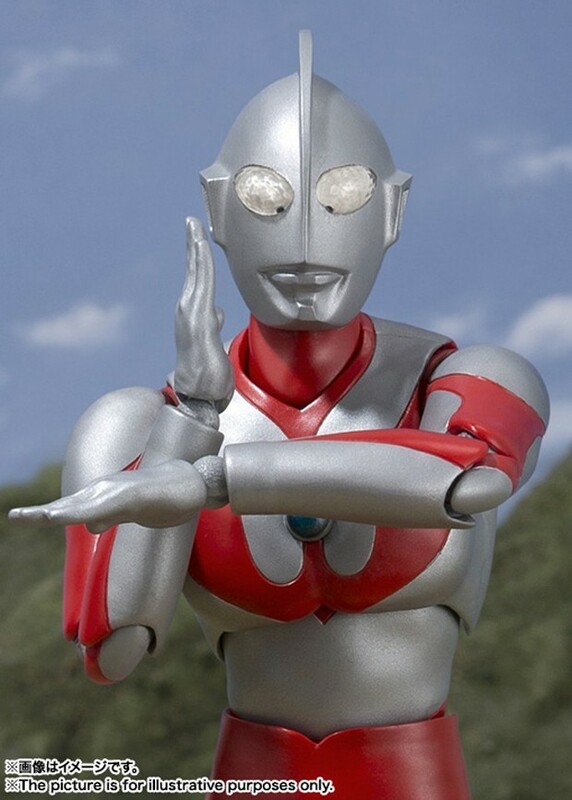 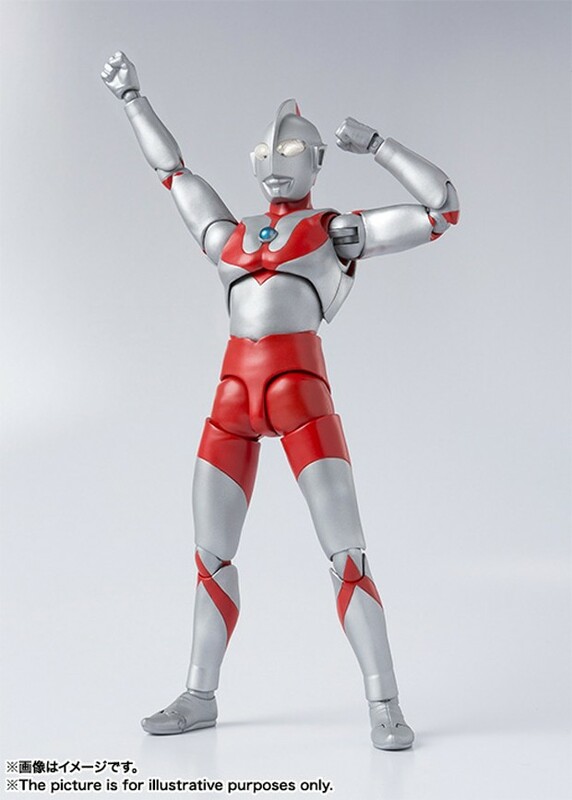 Figuarts line worships Ultraman. 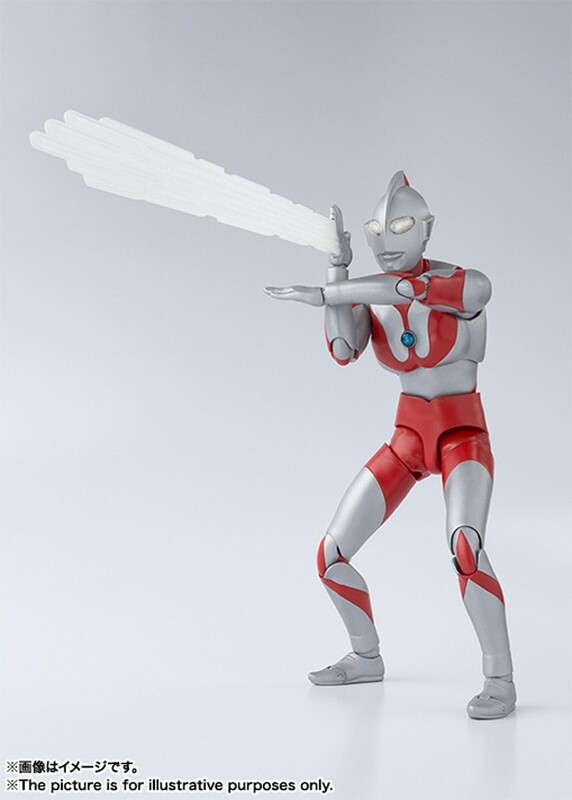 But this year Bandai has a great excuse to release yet another Ultraman figure, because the franchise turns 50 this July. 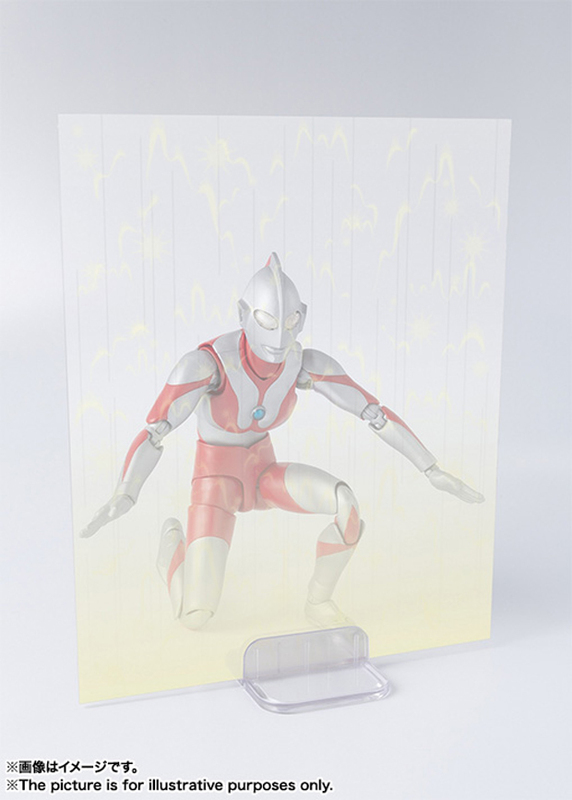 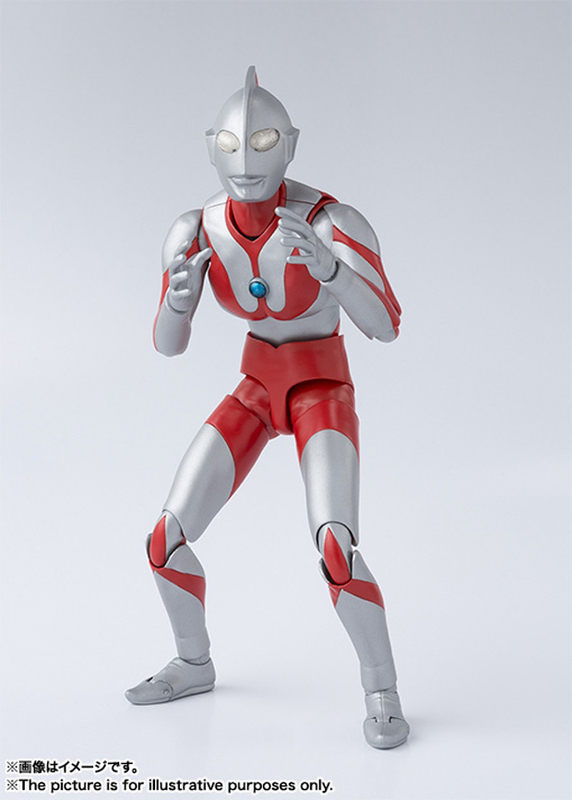 The 50th anniversary Ultraman action figure is about 6″ tall and comes with two pairs of hands, a Specium Ray effect, an Ultra Barrier/Rebound Ray effect, and an alternate Color Timer. 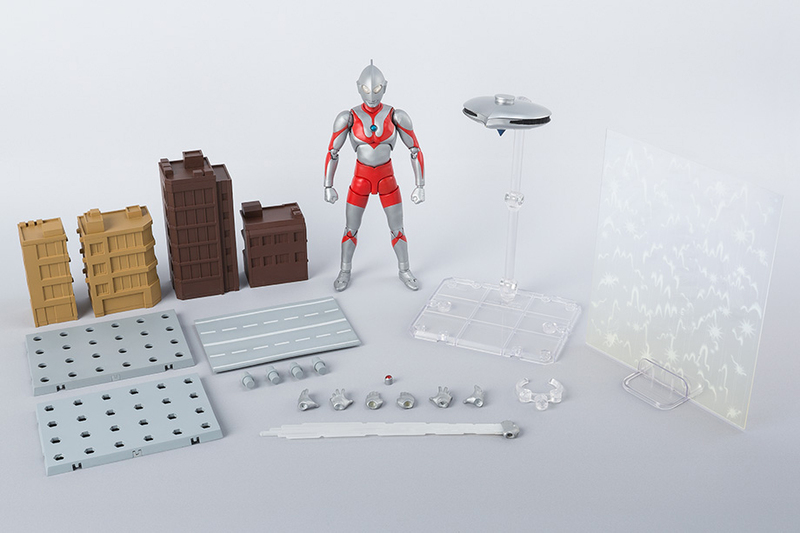 The figure will be available individually for ~$50 (USD), but it will also come in a ~$70 bundle, which comes with a Baltan spaceship and an Option Act Building set (four buildings and a highway that can be rearranged on a base). 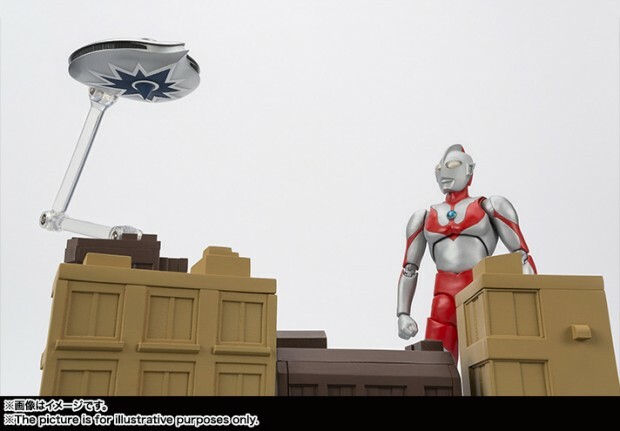 The building set will also be sold separately for ~$20, but the color of the buildings in the 50th Anniversary set will be different. 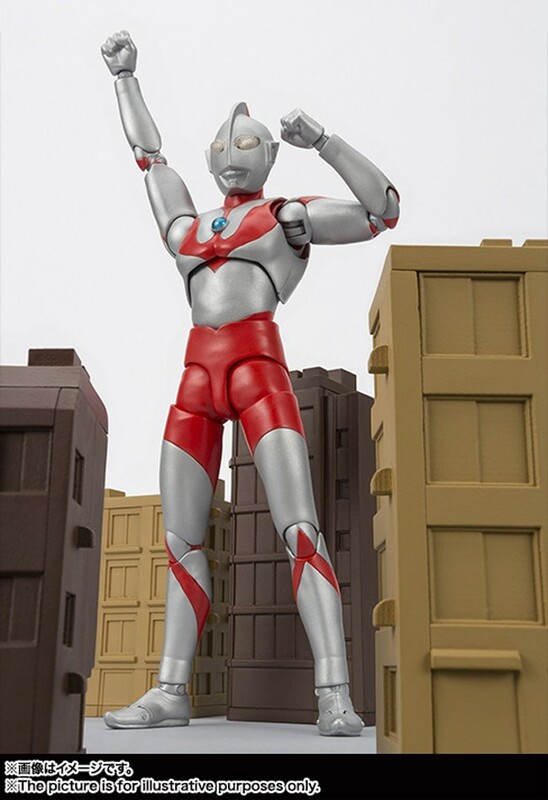 Of course, the buildings will work well not just with Ultraman but many other 6″ figures, so there’s merit in purchasing those separately. 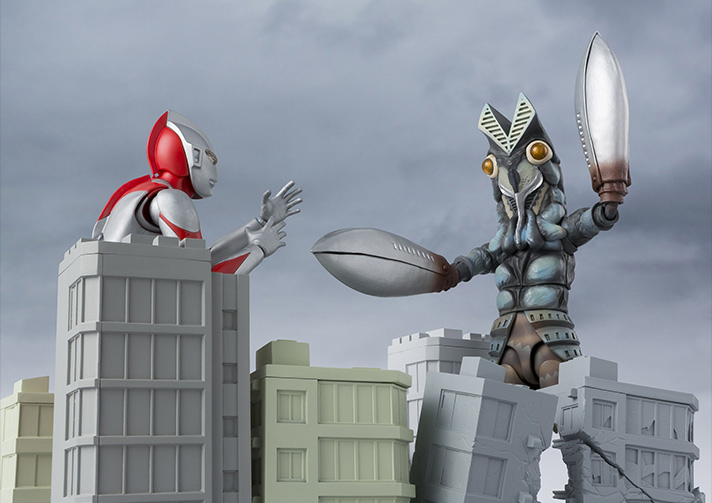 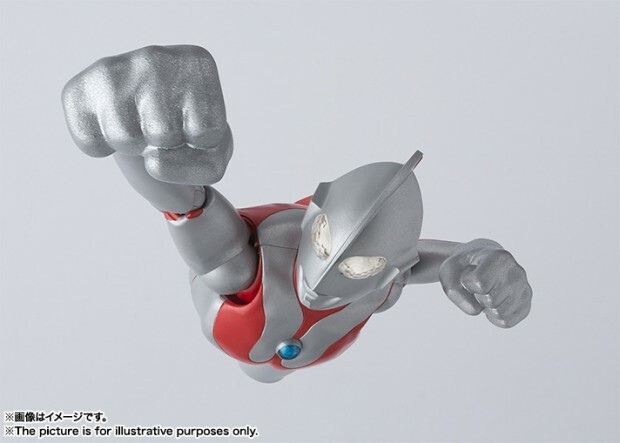 Bandai will also release a 6″ action figure of one of Ultraman’s classic foes, Baltan. 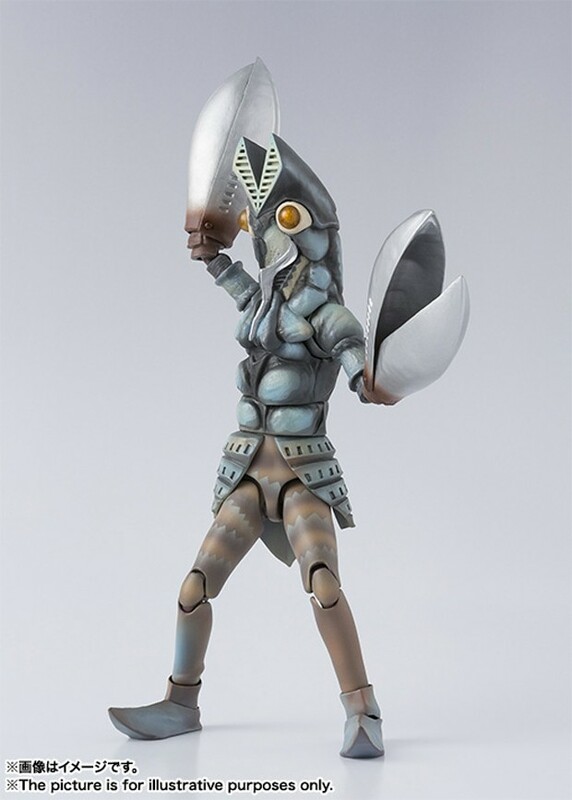 That one will also go for ~$50. 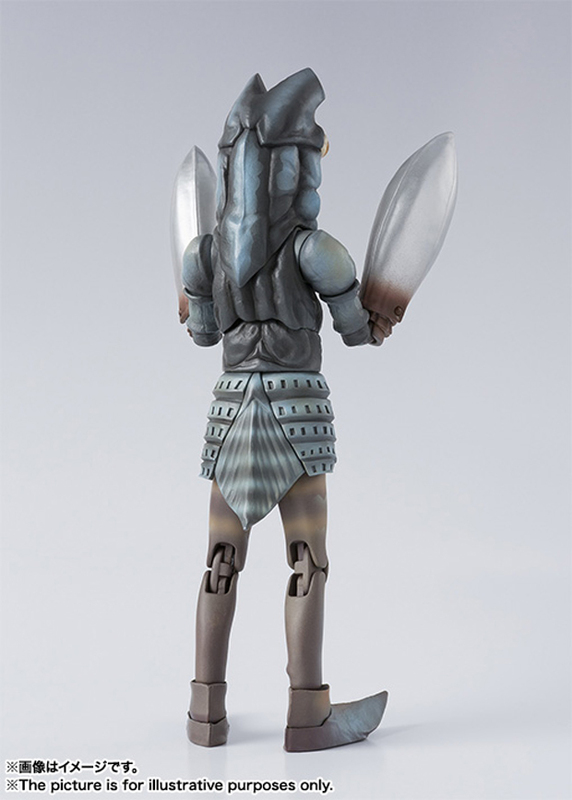 Finally, the company is teasing two more figures. One is Zetton and the other one appears to be another Ultra Brother. 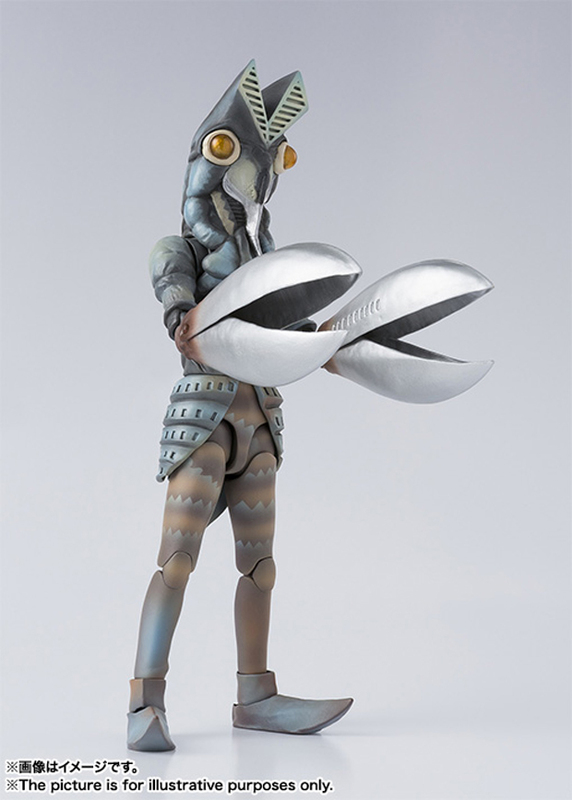 Zoffy perhaps?